The applet below dynamically illustrates Viviani's Theorem. Be sure to move the GRAY POINT around. 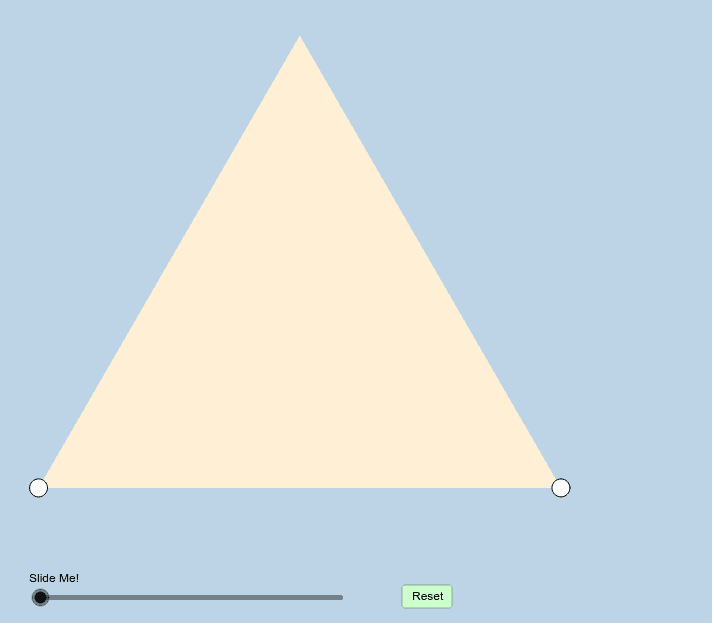 You can also, if you choose, alter the size of this special triangle by moving either one of its vertices. After interacting with the applet for a few minutes, please answer the questions that follow. Without looking it up on another tab in your internet browser, describe Viviani's Theorem in your own words. How can we formally prove the phenomenon dynamically illustrated here? Complete a transformation or multiple transformations that will carry triangle ABC onto triangle FED.